During the battle for France in May and June 1940 the greatest burden and casualties fell on the French infantry. 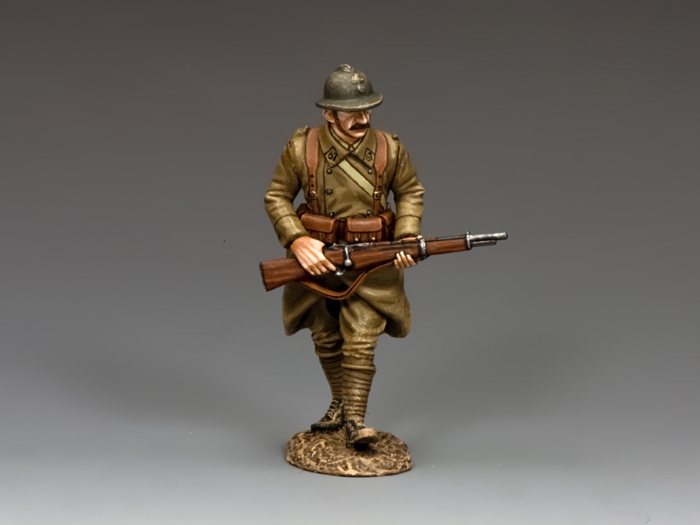 Here this “Poilu” warily advances (or perhaps retreats) rifle at the ready. 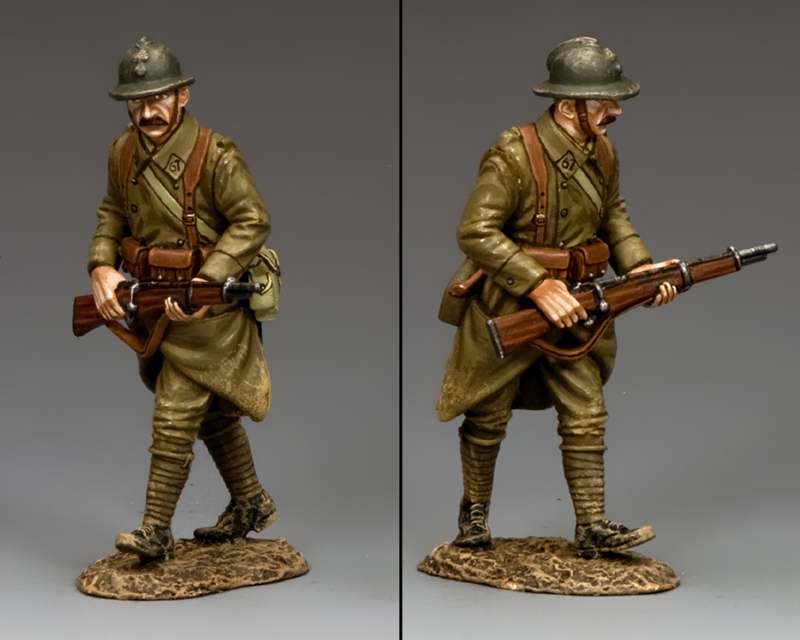 His uniform and equipment has barely changed since 1918!